Enter the magical world of Maison 808 in Beverly Hills. 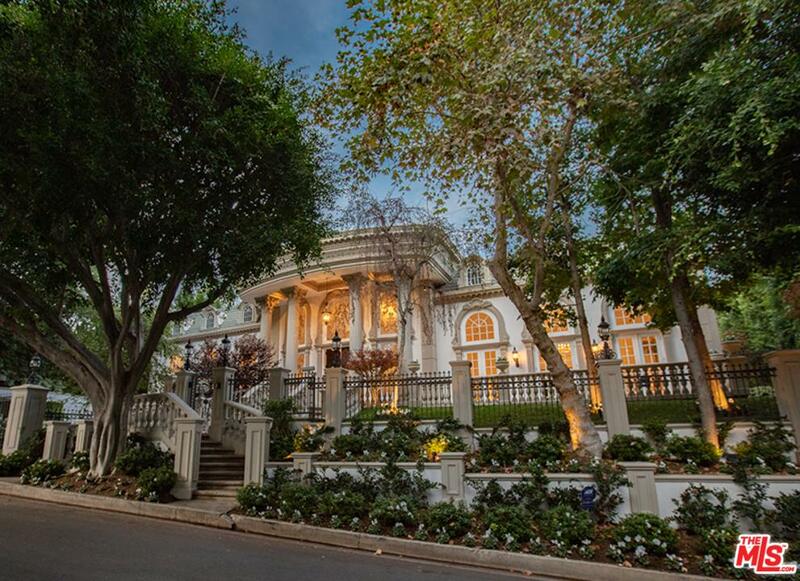 Revel in European opulence on nearly 1.68 magical acres at Maison 808 — the largest residential property to come on the market in the flats of Beverly Hills. Designed by Budd Holden and built in 1990, the stately 26,800-square-foot manor enchants with eight bedrooms, 15 bathrooms and gloriously detailed interiors that pay homage to classical symmetry and old world craftsmanship. A park-like setting envelopes two detached guesthouses, sculpted gardens and flat lawn, a lighted tennis court designed by tennis legend Jimmy Connors, a resort-style pool with waterslide and waterfalls, as well as a meandering miniature railroad inspired by Walt Disney’s legendary backyard on Carolwood Drive. Maison 808 is a world truly unto its own — a place that has welcomed prime ministers and presidents into its dignified embrace over the course of its 28-year history.